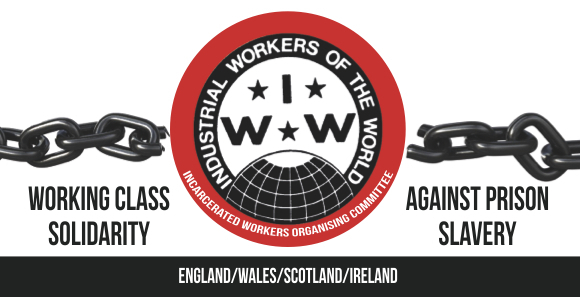 John Bowden is a long term prisoner and IWW member in HMP Shotts. 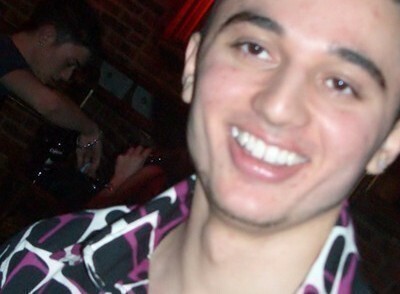 This is an appeal for support for Kevan Thakrar. Investigating division and conflict amongst the poorest and most oppressed as a means of control has always been a favoured strategy of the ruling class and within it’s prisons (the laboratories of oppression) where the most disempowered experience naked repression the weapon of divide and conquer is sometimes used with murderous effect. Within the British prison system there exist prisons within prisons, places of concentrated repression where “troublemakers” and those who fight back are sent to be broken, and where those who inflict the repression encourage prisoners to take the rage created by that repression out on each other, thereby generating an unending cycle of violence, which is used to justify the use of even greater repression. In 1998 the first “Close Supervision Centre” (CSC), based on the American prison “Special Management Unit” concept, was opened in Woodhill prison in Milton Keynes to hold what the prison authorities claimed were the system’s most “disruptive and dangerous” prisoners, or those prisoners who fought back and encouraged others to do the same. Concentrating such prisoners in a single physical space or unit confronted those staffing it with an obvious dilemma: how to subdue and control such a group? Predictably, an unimaginatively brutal approach was adopted – a total lock-down regime blended with overt physical brutality. The response of the prisoners “selected” for such brutality was collective resistance in the form of dirty protests and total non-cooperation, to which the permanently riot-gear clad staff responded with greater brutality, resulting eventually in an atmosphere and environment of total warfare. In 2000 the chief inspectorate of prisons following an inspection of the Woodhill CSC described conditions there as a clear breach of the European Convention of Human Rights, forcing the prison authorities to implement at least superficial changes to it’s regime. Prison psychologists were now used to legitimate the CSC regime by pathologising the resistance of the prisoners and introducing a pavlovian behaviour-modification regime; compliant behaviour by prisoners would now be rewarded with “progression” to less austere and brutalising conditions within the CSC, including limited free-association periods outside their cells. Staff “supervising” the prisoners were now instructed to “engage” with them as opposed to overtly brutalising them, although the relationship of power remained dependent on physical force and the use of brutality when necessary. To guards long conditioned and accustomed to exerting control by straight-forward brutality the very slight relaxation of the CSC regime represented a threat to the ability to maintain absolute control, while having to now “engage” with as a group prisoners who they had formally brutalised as isolated individuals clearly unnerved them. Fearful of now becoming a target for angry and embittered prisoners they instigated and fermented animosity between and amongst those prisoners and then used the slightly relaxed regime to facilitate physical violence between some prisoners; placing sufficiently “wound-up” prisoners in the small outside exercise pen together ensured the channelling of rage and violence and it’s expend amongst prisoners themselves. On one occasion this resulted in the near death of a prisoner. Whilst the regime operating in the Woodhill CSC might have been slightly modified to allow prisoners to “progress” back to the prison mainstream providing they showed a sufficiently cooperative attitude, the CSC at Wakefield prison is reserved for those prisoners who will probably never leave it’s confines. The emphasis at the Wakefield CSC is one of straightforward containment and control, so prisoners there are simply entombed in their cells and allowed no human interaction whatsoever; it is a regime and form of treatment that defies and concept or convention of basic human rights. Kevan Thakrar, currently held in the Wakefield CSC, is a prisoner who has experienced and endured many years of brutal and inhumane treatment at the hands of prison staff who are determined to destroy him. Cleared by a jury in 2012 of allegedly assaulting prison staff and more recently by the CPS for a similar allegation, Kevan has become a target of victimization by the Prison Officers Association and it’s members who staff the CSC system. Whilst held in the Woodhill CSC Kevan, who was supposedly on a permanent lock down regime, was unlocked and allowed out of his cell one afternoon with surprisingly few guards present. Understandably suspicious, Kevan soon discovered the reason for the guards apparent lassitude; unlocked too was a dangerous mentally ill prisoner. Kevan immediately engaged the prisoner in conversation and eventually encouraged him to abandon his intention to do the guards bidding by attacking Kevan. Their plan frustrated the guards re-materialised and returned Kevan to his cell and permanent lock down again. Following an unrelenting barrage of legal actions against the prison authorities challenging his placement in the Woodhill CSC, which included an independent psychology report strongly recommending his return to the mainstream prison population on medical grounds, Kevan was transferred to the even more psychologically brutalising environment of the Wakefield CSC. The intention was clear: to bury Kevan permanently in an end of the line hell hole and allow those “supervising” it to do whatever was necessary to break his sanity and spirit of resistance. Held within the Wakefield CSC are not just prisoners who have fought and resisted the system; some are there for acts of prisoner on prisoner violence, some of whom are hard-core racists. It was from this small group that the guards staffing the Wakefield CSC recruited for their campaign of psychological harassment against Kevan. The message communicated to these willing helpers was their assistance would be rewarded with eventual “progression” to a less austere place of confinement. Kevan’s mixed race heritage now became the focus of this quisling group’s racism, expressed in constant verbal abuse and threats shouted from cell windows, as well as the throwing of urine from windows at Kevan when he exercised in the small yard just below the cell windows. The response of the guards supposedly “supervising” the place was to laugh and encourage even more the racist behaviour and abuse. Those supposedly managing the Wakefield CSC, senior managers, psychologists, etc., are apparently content to allow uniformed staff “supervising” the day to day lives of the prisoners held there absolute discretion in how their power is used or abused, providing absolute control is maintained. As a result, Kevan now faces a daily struggle against not only a de-humanising regime of solitary confinement and sensory deprivation enforced by openly hate filled guards, but also the constant racist verbal abuse of those keen to win the favour of their masters. We must do whatever we can to support that struggle and let Kevan’s captors and oppressors know that he is not alone.